In such a competitive market, we understand that firms have options. Bellefield Systems, LLC, the leader in mobile and anywhere time entry solutions for firms of all sizes, announced that Saul Ewing, a NLJ 250 firm, has chosen iTimeKeep as its firm-wide mobile time entry solution. With 11 East Coast offices and more than 260 attorneys serving a wide range of industries, Saul Ewing’s top objective is putting clients first. Client-focused technology is a key component of this goal, and the firm has invested significant time and resources in acquiring tools that will help them achieve positive outcomes for clients. After a short trial period using iTimeKeep, Saul Ewing attorneys found that mobile timekeeping and contemporaneous time entry allowed the firm to increase billing accuracy and reduce time leakage, making them more efficient in their dealings with clients. 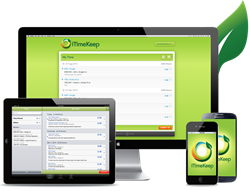 After launching in 2012, iTimeKeep quickly became the most-widely used mobile time entry solution for attorneys. Today, Bellefield continues to relentlessly be committed to maintaining iTimeKeep’s simplicity – allowing attorneys to work the way they want to work, any time, anywhere and any way. Law firms are able to accomplish this through the Time Entry as a Service (TEaaS) model. The TEaaS model allows firms and their users to be up and running in a few hours without taxing the resources of the law firm with costly hardware and software and complex implementations. Bellefield’s TEaaS model is transforming the way the modern law firm works. Bellefield continues its quest and commitment to innovation and developing the best mobile and anywhere timekeeping solutions, which is evidenced by the latest announcement of iTimeKeep for the Apple Watch, the first to be available in legal technology. Bellefield is committed to helping lawyers improve their work lives by developing innovative and intuitive applications that solve real-world challenges. Bellefield does this by identifying a problem, evaluating it from many different perspectives, and working tirelessly to create the best possible solution. Bellefield’s flagship product iTimeKeep ranks #1 as the most adopted Mobile Time Entry solution for attorneys for the second consecutive year. Founded by software veterans Gabriela Isturiz, Daniel Garcia, and John Kuntz, Bellefield is an independent, privately held company headquartered in Pittsburgh, Pennsylvania. To learn more, visit Bellefield Systems. iTimeKeep is a game-changing mobile application that simplifies contemporaneous time entry while eliminating the burdens of complicated and invasive time capture applications. Upon hearing the frustrations of attorneys required to use technology that is counterintuitive to the way they work, Bellefield developed iTimeKeep to give them the ability to easily get the job done anytime and everywhere, increasing adoption and improving internal operations. iTimeKeep is delivered as a Time Entry as a Service (TEaaS) model in order to maximize the benefits of mobility to firms, without taxing on their resources. iTimeKeep was recently ranked by ILTA as the most adopted Mobile Time Entry solution for attorneys for the second year in a row. iTimeKeep seamlessly integrates with leading financial systems including Elite, Aderant, LexisNexis Juris, ProLaw, Rippe & Kingston, and many others. To learn more, visit iTimeKeep.